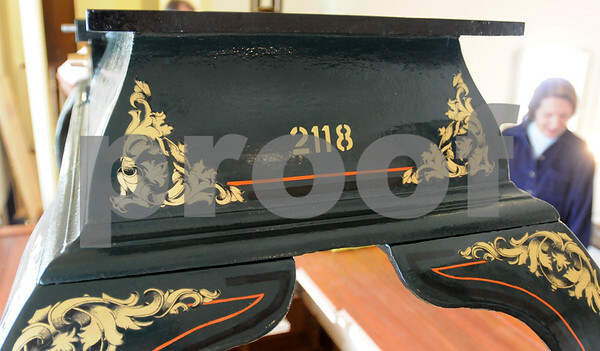 Rowley: The clock's serial number, 2118, is marked on the base. The clock is one of only 5,000 of these made by E. Howard & Co., Boston around 1899. Bryan Eaton/Staff Photo Newburyport News Thursday June 11, 2009.